Our first blog here on Nice Guys Delivery! Very exciting! We are a cannabis delivery start-up operating in Marin County, California. Nice Guys Delivery was founded by seasoned horticulturists who believe medical cannabis patients deserve the highest grade, organically grown cannabis at an affordable value. In addition to our superior flower we offer a wide variety of cost-effective concentrates, health conscious edibles, and just about anything to enhance your cannabis experience. We have a team of committed individuals who are working toward bringing you the best cannabis experience possible. 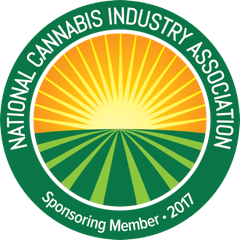 As we inch closer to the end of cannabis prohibition we will be focusing part of our time educating ourselves, along with you, throughout the changing landscape of the cannabis industry. In the coming weeks we will be rolling out some fun new ways for you to engage with us on a more personal level - starting with our social community on Facebook and Instagram. We want your feedback whether it be on our service, our products, or general cannabis questions. As part of our mission we’re committed to breaking the false stigmas surrounding cannabis as a whole. Our team is built around a passionate group of active individuals who like to use cannabis for many purposes throughout our lifestyle. Marin County is land to some of the most beautiful sights in the world - with Mt Tamalpais in our backyard and the Pacific Ocean kissing our shoreline there are plenty of ways to responsibly enjoy cannabis while shaking off the work week and connecting to the many blessings around us. As your preferred source in the cannabis market we go above and beyond the sales exchange. We help you find a Nicer lifestyle by providing more than just our high-quality products. We aim to bring enlightening education and an adventurous vibe - stay on the lookout for upcoming Marin County activities, adventure insights, and inspiring photos shared by you: tag #marinspiration. The nicer lifestyle we enjoy is one of balance and fulfillment. We work hard but play just the same. We adult when needed but aren’t afraid to let our inner child come out to play, and when given the opportunity we choose plants over pills because we believe all the best things in life are natural.